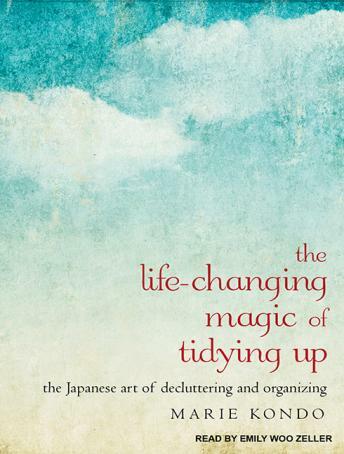 With detailed guidance for determining which items in your house 'spark joy' (and which don't), this international bestseller featuring Tokyo's newest lifestyle phenomenon will help you clear your clutter and enjoy the unique magic of a tidy home-and the calm, motivated mindset it can inspire. A lot is about how and why she became an organizer and little about how to organize. Also some things about it are not practical especially for people who work full time jobs and have very small but mobile children. I don't have a few hours to collect every piece of clothing and go through each thing piece by piece. Some concepts were helpful and I am going to try to apply them when I clean. Motivated me to declutter! This book inspired me to look at my possessions in a different light. I consider myself a neat person and just want to be content with what I have, this book helped me reach the next step, appreciation and self awareness. This book has changed my mind set. I have organized and gotten rid of things "I might use someday (but haven't used in years). I buy only what I need. love the concept. can't wait to get down to business! this was truly inspirational! !...I can honestly say this has really changed my perspective on all the things I will allow in my life moving forward. Love the concept and the narration is good. But the book repeats itself way too much and there is more talk about her memories and how she became who she is than how to tidy and declutter. The audio repeats a lot. Maybe in book form, there are sections and the organization is clear so you can see what's going on. But listening to the audio, all you hear is repetition. I love the overall concept of the book and we have been applying it to our house this summer. I even caught a reference on TV. Such a great book! I loved listening to this type of book rather then read it. It has pushed me to de-clutter and organize everything in my house.It feels so good. I'm listening to her 2nd book right now and really like it as well. This book changed my perspective in some ways, but my kids do not understand why I've suddenly started talking to inanimate objects and thanking them for their service. Overall, I have found some of the principles very helpful, but I think some of the things are a little crazy. The narrator in some places sounds like a robotic voice, but overall was good.